I am not happy with this federal election and the way it is being reported. Unimportant, nauseating details are cited while important matters – the politicians’ essential character, whether or not they are telling the truth and what they really stand for – get little coverage. These politicians are asking us to trust them with our vote and the power to govern Canada, so, yes, it is important that we know who they are so we can judge for ourselves whether or not they are worthy. We had hoped to interview all the leaders of a Canadian political party prior to October 19, 2009, our official election day as prescribed in the Canada Elections Act, passed by the current government through Bill C-16, which had its first reading on May 30, 2006. Instead, we are now heading to the polls on October 14, 2008, a full year earlier. There would have been ample time to interview Elizabeth May, leader of the national Green Party, Bloc Quebecois’ Gilles Duceppe BQ, and, of course, Stephen Harper, leader of the Conservative Party of Canada (CPC). Only one of the aforementioned refused to be interviewed. After a number of emails and phone calls, we were still denied the opportunity to interview Mr. Harper. We would have settled for a candid interview with a next in command, such as David Emerson, who was voted in as Liberal MP, but jumped over to the CPC before parliament even had a chance to sit. Emerson decided not to run again for MP and instead settled for co-directing the CPC campaign across Canada. The voters here in the riding of Vancouver / Kingsway, where our office is located, still feel ripped off by his disregard for their votes and his refusal to stand in a by-election as a Conservative in order to honour the wishes of the people. We would have appreciated the opportunity to ask him a few questions, but it seems Conservative MPs are trained to not talk to media unless they are reading from the party script – coverage you can readily get from mainstream media. So with the snap election called, we ran out of months to interview those remaining leaders who were willing to go public inCommon Ground. My apologies to those leaders we would have interviewed. We believed the official election date would have been honoured, in which case each of you would have had your month to let our one-quarter million readers know who you as a person, why you got into politics and what your vision is for Canada. As a replacement for an interview with Prime Minister Stephen Harper or his next in command, please find below portions of a speech by the Honourable Danny Williams, Premier of Newfoundland and Labrador. Premier Williams spoke his mind about Stephen Harper at the St. John’s Board of Trade on September 10, 2008. “While I am on the topic of our federal government, allow me a few words on the federal election and the very dire consequences that could face us should Stephen Harper and his right-wing Conservative-Reform Party form a majority government in the coming weeks. First, let me remind you that Stephen Harper as Opposition Leader, together with the Conservative Newfoundland and Labrador MPs, voted against the Government Bill that gave us the two billion dollar Atlantic Accord cheque. ‘Trust us; we know what we’re doing,’ they said at the time. Thank goodness we didn’t take them at their word back then. On top of that, we now have the 10 billion dollar broken promise on the removal of non-renewable resource revenue from the equalization formula. This promise was made in the past two elections in writing, in their campaign platform and in subsequent letters. And let’s face it folks – regardless of our recent financial well-being, that 10 billion dollars would have made a huge difference to the bottom line of our province. But now, all of a sudden, because we have finally achieved some self-sufficiency, we should forget the promise. Or so say Conservative candidates. After all, God forbid Newfoundland and Labrador get what is rightfully theirs as partners in Canada. We have put up with that attitude in this province for 55 years and look where that has gotten us in the past. Stephen Harper’s own campaign literature proclaimed, ‘There is no greater fraud than a promise not kept.’ He used these words as he successfully attempted to woo voters from this province to not vote for the opposing party. Naively, we trusted him. He rewarded that trust with a broken promise. According to his own brochure – he is a fraud. I think you all know my views on this issue and I firmly believe that Newfoundlanders and Labradorians at home and abroad still feel the same cold, sharp sting of betrayal at the hands of our country’s leader. Other commitments were also made by Stephen Harper that were not kept – 5-Wing Goose Bay; custodial management; a Lower Churchill guarantee and numerous others. We all know that these promises are sadly not worth the paper they were written on and the bond of his word is meaningless. The raising of rates at Marine Atlantic in times of high gas prices, poor service and inaction on badly needed vessels is another example of their attitude to isolate the island, which creates more economic hardship on small rural businesses. If Harper is prepared to slash program spending with large surpluses and break his written word as the leader of a minority government, the future for Newfoundlanders and Labradorians, and indeed all Canadians, will be very bleak under a Conservative majority. Do not let Stephen Harper turn your focus onto a green shift in his attempt to turn your focus away from the Conservative’s blue shaft. His list of broken and unfulfilled promises portrays a lack of integrity in his character and shows us he cannot be trusted. This is a federal government willing to not only break their own promises, but they go so far as to break their own laws and call an election even though they mandated fixed election dates. There is nothing Harper will not do to win a majority government. This is a party who purportedly offered a terminally ill MP a life insurance policy to get his vote. How low can you go? This is a man who wants an election before losing by-elections that were to have taken place this month. A man who wants an election before the economy declines any further due to fiscal mismanagement. He wants an election before findings are released on various ethical breaches against his government. It is so critically important that the people of Newfoundland and Labrador let Stephen Harper know that his treatment, his attitude, his indifference to this province is not acceptable. When I met with him to offer a compromise, he told me face-to-face that he does not need the people of this province to win an election. So, let’s let him know that we don’t need him either. His own candidates and MPs admit that the promise was broken, but we should forgive and forget. Well folks, forgiveness may be a virtue; but forgetting is just plain foolhardy. Here in Newfoundland and Labrador, we need to ask ourselves is it ok for the man occupying the highest office in our country to treat a province in this federation with such distain? We should show him we don’t put up with that in Newfoundland and Labrador anymore. Even his own candidates say they don't trust him. So why should you? How does it make us feel when the Prime Minister of Canada invites backbencher Newfoundland and Labrador MP Fabian Manning into the front bench in the House of Commons to smile and laugh along with him, as he openly mocks this province upon delivering the best budget in its history? It was a betrayal that was felt deeply across this province as another MP put Ottawa ahead of province. Stephen Harper’s ideology has been cleverly hidden and implemented quietly as much as possible in the past four years. And the only reason we have not seen his full plan for Canada implemented is because he had a minority government to keep him in check. I can only say this, and I say it with all sincerity and genuine concern for our great country: A majority government for Stephen Harper would be one of the most negative political events in Canadian history. Even without a majority, he has cut funding for minorities. To arts and culture groups right across the country. His government cut funding to women’s groups. In fact, his government actually went so far as to remove the federal mandate to advance equality for women. This all happened under a minority government. What in heaven’s name will happen if he gets his majority government? And make no mistake – you won’t hear Stephen Harper admit he may win a majority government because he is terrified that people might stop and actually start to think about the consequences. Well, I beg you all today. Stop. Think. And decide if that is what this country deserves? When we vote, I would rather that we stand on the solid ground of principles than on the shaky ground of broken promises. Abandoned voters in David Emerson’s riding have followed suit and launched the West Coast version of Anything But Conservative (ABC). So what is weighing heavily on my heart? This 12-month too early, unwanted Canadian federal election, the third in four years. It is especially galling as the new Prime Minister passed Bill 16, thereby creating a fixed election date that would no longer be at the whim of an opportunistic PM. Well, parliament may have passed the law, but Stephen Harper, unable to blame the election on a NPD or Liberal non-confidence vote, decided himself that he lacked confidence in the government. He told the Governor General to dissolve parliament and called a snap election. There are many speculations as to why Harper leaped for an election at this time. A few educated guesses follow, and we can only guess because he was unavailable for comment. 1) The polls show that the Conservatives are ahead – hey, it’s an opportunity. 2) With Barack Obama looking like a winner in the US presidential race, Stephen Harper’s pro Bush, Oil and War would be awkward for Conservatives up North. 3) Remember when the RCMP raided the CPC headquarters for inappropriate election expenses? The CPC now has its own scandal brewing as the “In/Out” election kickback scheme, which could have the same damaging effect on Conservative re-electablity as the Gomery Inquiry had for the Liberals. In the last election, Canada voted to “kick the bums out” because of what was seen as cronyism and corruption while the CPC accusers stood pure as the driven snow. Harper did not want to wait for the results of his party’s own RCMP investigation before the next election. 4) There were a number of by-elections slated for this month that may have not left the CPC in a popular light. 5) The subprime and Wall Street “bail out” / give-away / taxpayer rip-off economic crisis brewing in the USA would certainly stink up the Canadian economy and not look pretty for an election if it was held on the designated, lawful date in 2009. Harper is too greedy for power and is too afraid of what the CPC might lose to wait for the celebrated National Election Day. Except for Harper and his handlers, this is the election nobody wanted. Given the way Harper has acted as if he had a majority with the minority, we should all be concerned with what he would he do if he snatched a majority. I write this as the US congress staggers to comprehend the real issues behind the $700 billion protection rack, AKA bail out for Wall Street and the banks. On September 29, I was delighted to see Congress vote against the mugging of America and say no! The taxpayers ought not to be rushed into generations of debt because a former Wall Street CEO was appointed by Bush a few months back to sell their latest con to congress. The same level of thinking (and ethics) that created the problem is not the same level of thinking (or ethics) needed to create the solution. In fact, we need different people with higher morals and a dedication to the American taxpayers to figure out a real solution that helps homeowners and Main Street. They are certainly not the same people who created the chaos in the first place. The markets will correct themselves, as painful as it will be to the money trust and the bank cartel, AKA the Federal Reserve. The Fed, whose members are very big private banks joined at the hip with the federal government, makes it look like they care about taxpayers. 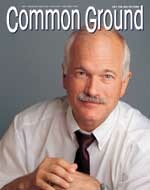 For more background go online and read G. Edward Griffin’s A Second Look at the Federal Reserve. I could not say it any better myself. A grassroots middle America pressured their congress to do the right thing and defeat the dastardly bill. A big thank you to those who had the courage to vote against the 700 Billion Dollar Bailout hidden within the patriotic sounding Bill title: To amend the Internal Revenue code of 1986 to provide earnings assistance and tax relief to members of the uniformed services, volunteer firefighters, and Peace Corps volunteer, and for other purposes. From http://clerk.house.gov/evs/2008/roll674.xml See the website for the final vote results and how each member voted. Bush's bank bailout went back to the drawing board. After putting more lipstick on the pig, tweaking a few changes, and voting it through Senate, they then sent it back to Congress which caved in and passed the bill. Most economist say the bail out won't do much. But where does all that taxpayer's money go, likely to the same kind of people who did the S&L scam. On May 2, 2008, CBC News published the piece entitled Tories kill access to information database. The following has been excerpted from that report: “The federal Conservatives have quietly killed an access to information registry used by journalists, experts and the public that users say helped hold the government accountable. The Coordination of Access to Information Requests System, or CAIRS, is an electronic list of nearly every access to information request filed to federal departments and agencies. Originally created in 1989, it was used as an internal tool to keep track of requests and co-ordinate the government’s response between agencies to potentially sensitive information released. “It was really a tool designed to make government more open,” said CBC investigative journalist David McKie. Public Works, which operates the database, spent $166,000 improving it in 2001. Federal officials in 2003 had been working on a publicly accessible online version. 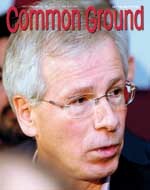 Bill C-16, an Act to amend the Canada Elections Act, was introduced in the House of Commons and received first reading on May 30, 2006. The bill amends the Canada Elections Act to bring in fixed election dates at the federal level in Canada. It provides that, subject to an earlier dissolution of Parliament, a general election must be held on the third Monday in October in the fourth calendar year following polling day for the last general election, with the first general election after the bill comes into force to be held on Monday, October 19, 2009. The issue of fixed election dates – or elections at fixed intervals – has been discussed at some length and acquired certain popularity in recent years. Fixed election dates are part of a general package of measures designed, it is argued, to make Parliament more accountable and democratic. Part of the reason that many people have embraced this issue is that it is seen as a way of counteracting the pervasive cynicism that exists towards politics and politicians. So here’s to living in interesting times. And please do your own research and go vote. This looks like the most important election in Canada’s short history. It may decide whether or not we continue to have a country or become a toss-away colony of the Empire. Do the candidates have us covered?